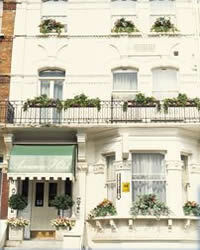 London Bed and Breakfast in London - Avonmore Hotel Bed and Breakfast in London: Avonmore Hotel is a winner of National Award for the best private hotel in London, organized by 'AA' and awarded four diamonds for high quality accommodation and service. 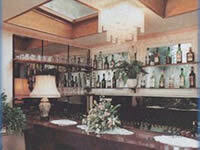 Avonmore Hotel is privately owned and run establishmend located in Kensington. The owners Margaret and John pride themselves in the quality of their accommodation and service and the excellent value for money that they offer. The devote their time and energy into ensuring that your stay in Central London is as relaxing and enjoyable as possible. Within easy walking distance of West Kensington Underground Station and main bus routes, the Hotel is ideally situated for visiting the sites os London such as The Albert Hall, Harrods, West End and famous museums. The location is covered for both the Olimpia Hall, which is adjacent to the Hotel and the Earls Court Exhibition Centre, only a short walk away. Each bedroom has been tastefully decorated and equipped with private bathroom, hairdryer, colour tv, radion alarm clock, telephone, mini- bar with drinks and tea/coffee making facielities. 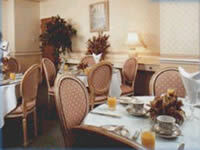 English breakfast(included in the tariff) is served by the friendly staff in the cheerful breakfast room and a wide range of drinks are available at the bar, where you can ralax and meet friends after a tiring day.